We’re the UK’s number 1 portable projector store with over 50,000 projectors sold since 2001. 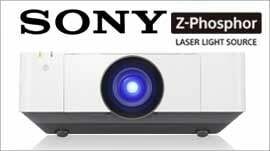 We’ve got the UK’s largest range and biggest stock of portable projectors from the world’s best brands. If you’re in need of a portable projector to take to client presentations, or perhaps for use in a temporary installation in a meeting room, we have a huge range of portable projectors capable of adjusting to any environment in a matter or moments. If you’re not sure which portable projector is right for you, call one of our experts today on Freephone 0808 278 7510 or send us an email.